Cradle-to-Cradle Certification - Seattle, WA - Artisan Electric, Inc.
What is Cradle to Cradle Certification? The Cradle to Cradle Certified™ Product Standard guides designers and manufacturers through a continual improvement process. Product assessments are performed by a qualified independent organization trained by the Cradle to Cradle Innovation Institute. Every two years, manufacturers must demonstrate good faith efforts to improve their products in order to have their products re-certified. Why Should Cradle-to-Cradle Certification Matter to You? Not all solar panels are created equal. If you’re willing to invest in solar, you’re probably committed to contributing to a more ethical, sustainable world. But if your panels are unethically and unsustainably sourced, or if the company that produces them is doing so by negatively impacting human health and the environment, it sort of cancels out your efforts. This is where Cradle to Cradle Certification comes in. The Cradle to Cradle Innovation Institute grades companies and their products on five quality categories: material health, material utilization, renewable energy and carbon management, water stewardship, and social fairness. It’s important to do your research when choosing a solar brand, and Cradle to Cradle certification takes the legwork out of knowing who to trust. 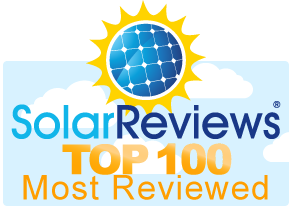 Artisan Electric, Inc. is proud to be a SunPower Authorized Dealer. SunPower has a near perfect Cradle-to-Cradle Certification score. You can trust SunPower Corporation solar panel products to be ethical, sustainable, and healthy from production to end-of-life and beyond. Read more about SunPower’s efforts to meet each quality category below. SunPower holds their products to strict safety standards, ensuring that none are harmful to humans or the environment. All components undergo independent third party toxicity testing for hazardous materials, eliminating health risks like cancer, birth defects, genetic damage, or reproductive harm. SunPower works closely with their suppliers to ensure that their supply chain is responsibly sourced and produced. SunPower’s products are designed to be perpetually recycled. The facility where they are produced has a strict Zero-Waste-to-Landfill policy, and SunPower makes every effort to ensure that nothing goes into a waste stream that cannot be diverted, reused, or recycled appropriately. Many of SunPower’s manufacturing facilities produce panels using renewable energy, including their very own solar energy, SunPower has helped customers install a combined 4.7 gigawatts of solar which has prevented 10 million metric tons of CO2 from entering the atmosphere- the equivalent of 2.1 million passenger vehicles. SunPower has designed their products to require 27% less water to be made on a per megawatt basis. SunPower gives every employee volunteer time off. SunPower also makes sure they are responsible community stewards wherever they do business through formal policies addressing human trafficking and conflict minerals. In addition, SunPower chairs the Solar Energy Industries Association (SEIA) Corporate Social Responsibility Committee to define and implement an industry-wide Code of Conduct.